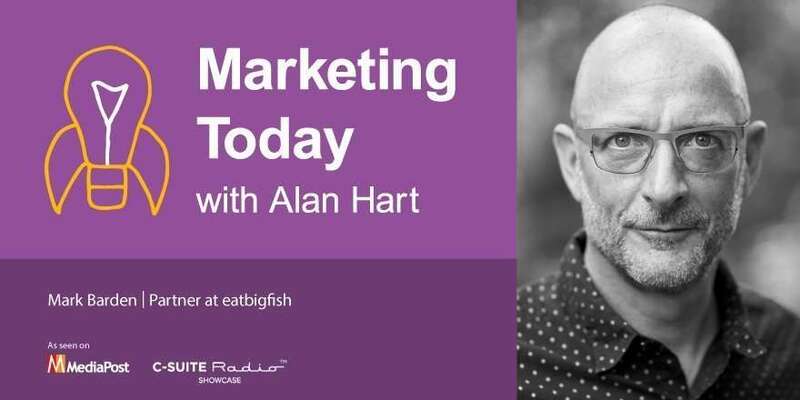 In this week’s episode of “Marketing Today,” Alan talks with Mark Barden, the San Francisco–based partner at eatbigfish — a marketing consultancy that coined the term “challenger brand” and that has helped clients like Audi, Sony PlayStation, Charles Schwab, and Callaway Golf transform their brands to achieve new levels of growth. Barden is also the author of “A Beautiful Constraint: How to Transform Your Limitations Into Advantages, and Why It’s Everyone’s Business,” and he has contributed a chapter to the upcoming book, “Eat Your Greens,” which will be published by the Account Planning Group as part of their 50th anniversary celebration. In the course of their discussion, Barden talks in great detail about the differences between challenger brands and disruptors, and he places them on a spectrum to better understand those differences. He also makes an observation about what challenger brands must do to succeed.